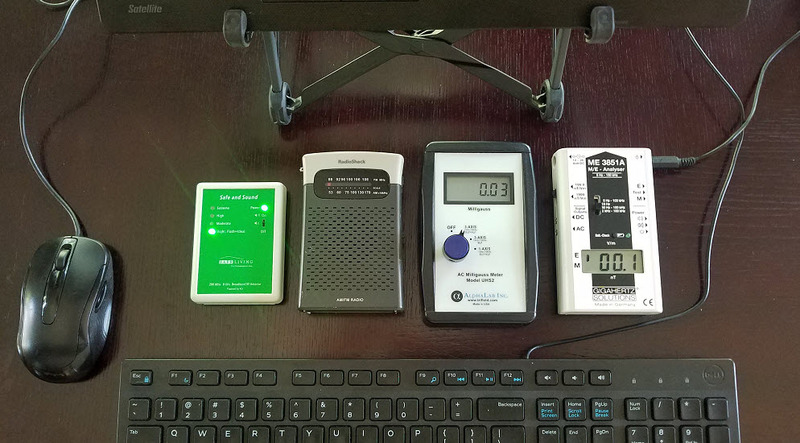 Over the past eight years, I have tested and personally used many different EMF meters. The following meters are what I currently recommend for your use (Spring 2019). They are sensitive enough for most people, but will not break the bank. They will also allow you to accurately measure all four types of electromagnetic fields. When you order use my code at checkout for a 10% discount (represented in the prices below). Your meters will arrive from Safe Living Technologies in Toronto within a few days. 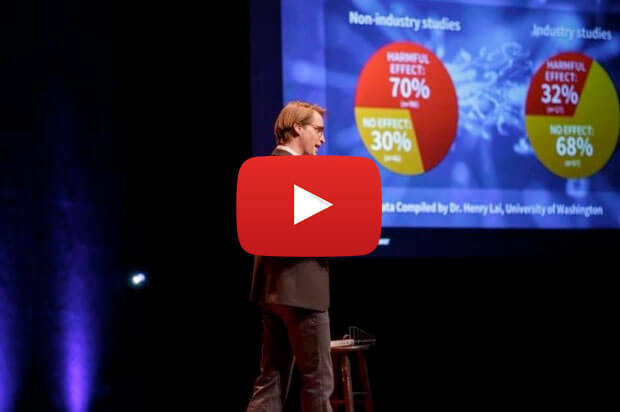 SLT is a very reputable company, which is why I work with them. Any questions you have about your order or the meters will come directly to me. Package #1 is my preferred meter combination as it is quite sensitive/accurate. However, if this is too expensive for you, Package #2 is a good compromise. The total price with discount for this accurate EMF meter package is $890, plus shipping from SLT. I also recommend an AM radio, which can be found on ebay for about $30. You want to get the specific Radio Shack AM Radio Model # 12-467 or this AM radio to detect EMI on your home wiring. Contact me to learn how to do this. The following are pictures of the meters with the ideal measurements for your home. Note: The Acoustimeter AM-10 is another popular consumer RF meter for $333. However, it has the exact same sensitive antenna as the Acousticom 2, which is half the price. If you desire a digital display, then get the AM-10 with your package above. I am now recommending the new Safe and Sound Pro RF meter because of its accuracy, sensitivity, ease-of-use and price. I compare the Safe and Sound meter to the Acousticom 2 at the bottom of this page. The total price with discount for this mid-range EMF meter package is $460, plus shipping from SLT. I also recommend an AM radio, which can typically be found on ebay for about $30. You want to get the specific Radio Shack AM Radio model # 12-467 or this AM radio to detect EMI on your home wiring. In the following images, you will see how beneficial having such EMF meters can be. The top picture shows the initial EMF readings at a home I recently visited (at my bed). These levels are much too high for an electrically sensitive person and unhealthy for the general population. RF readings are 1.0 V/m (3,000 µW/m2); Magnetic Fields are 0.70 mG; and Electric Fields are over 18 V/m. Line EMI readings were 300 V/m, which is acceptable. After less than one hour of detective work, I was able to bring the RF levels down to a healthy 0.02 V/m (1.0 µW/m2); Magnetic Fields to a very acceptable 0.04 mG; and Electric Fields to an exceptionally low 0.4 V/m. I then slept deeply, woke feeling refreshed and had no brain fog or head tension while at this home. 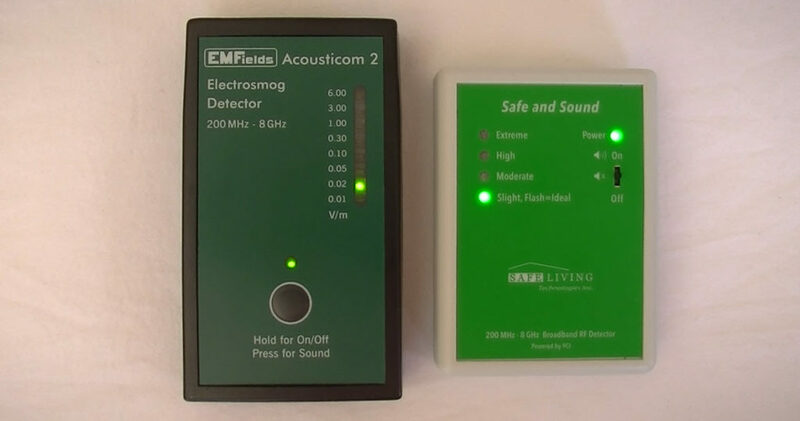 In most cases, you can do the exact same thing in your home with these EMF meters and/or the help of an EMF professional. Special Note: Inexpensive combination meters such as the new Cornet ED88T Plus and the new TriField TF2 or 100XE are just not accurate enough for anyone who truly wants a low-EMF home. 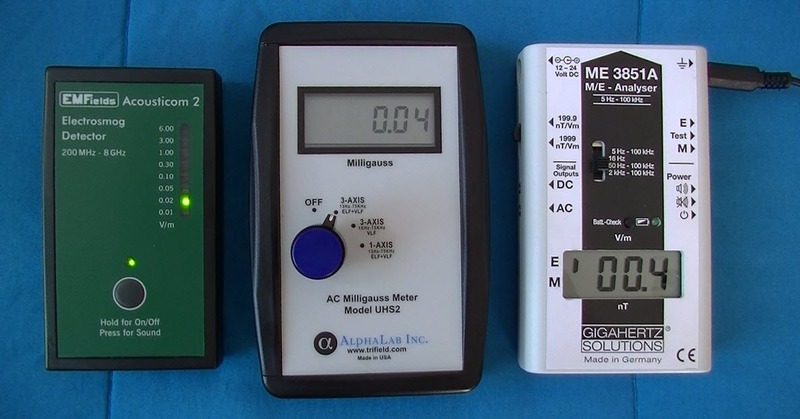 They are excellent meters to help you start learning about electromagnetic fields and to see if there is a major problem in your environment that needs to be addressed. However, if you are electrically sensitive or have health issues, you ultimately need more accurate meters such as those outlined above. 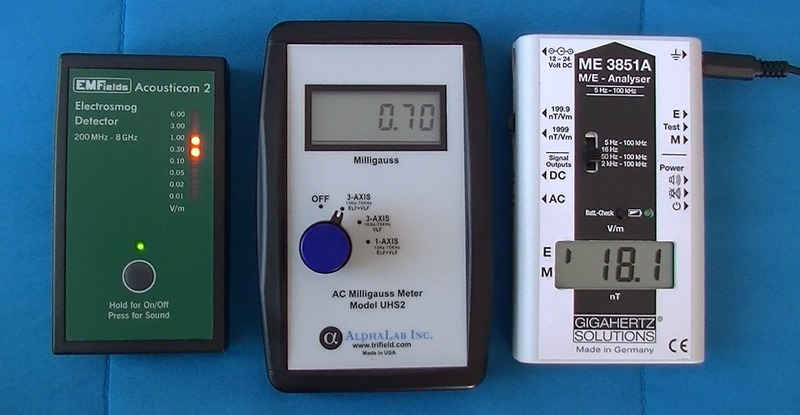 If you hire an EMF professional (contact me for a referral in your area) they will have professional meters like this set. Which RF Meter Should You Purchase? Finding an accurate, wide range RF meter at a consumer price point has been difficult. Even very expensive RF meters have their drawbacks. My favorite consumer level RF meter until now has been the Acousticom 2. It is very sensitive, relatively accurate, easy to understand and has a good price point ($162 with discount). Meter technology is progressing though and Safe Living Technologies has engineered what I consider to be a more accurate RF meter at an even lower price ($134 with discount). After testing the Safe and Sound RF meter in numerous situations, I have found it to be accurate, very sensitive (to below 1 µW/m2) and easy to use. It is also smaller (pictured below) and has a sound function that is more representative of the various RF exposures. The new Safe and Sound meter is also quieter than the Acousticom 2, which allows you to be more discreet when testing certain environments. To help you better understand the sounds of common RF sources, here is a handy guide. Finally the color display on the Safe and Sound does correspond to specific measurement amounts. It will flash green when below 1 µW/m2 and will blink red when above 10,000 µW/m2. Each color in between corresponds to a power density range in your environment (“High”, for instance, is between 100 – 1,000 µW/m2 ). If you have the funds, I would get the new Safe and Sound Pro RF meter. Welcome. 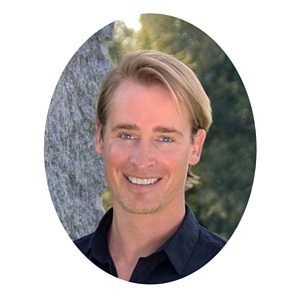 I have a master's degree in engineering and had a successful career in Silicon Valley before I began to experience negative health effects from wireless technology and electrical pollution.